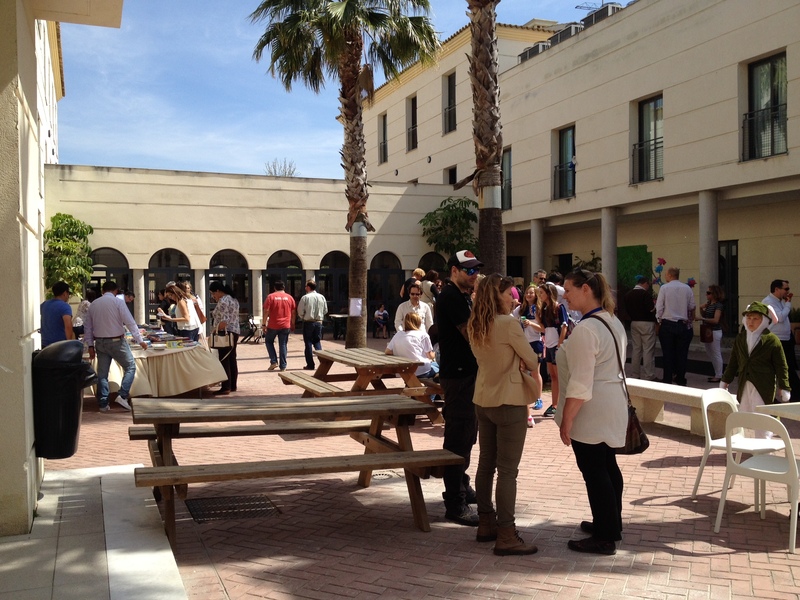 I was very lucky to be invited to Sage College in Jerez de la Frontera for World Book Day last week . 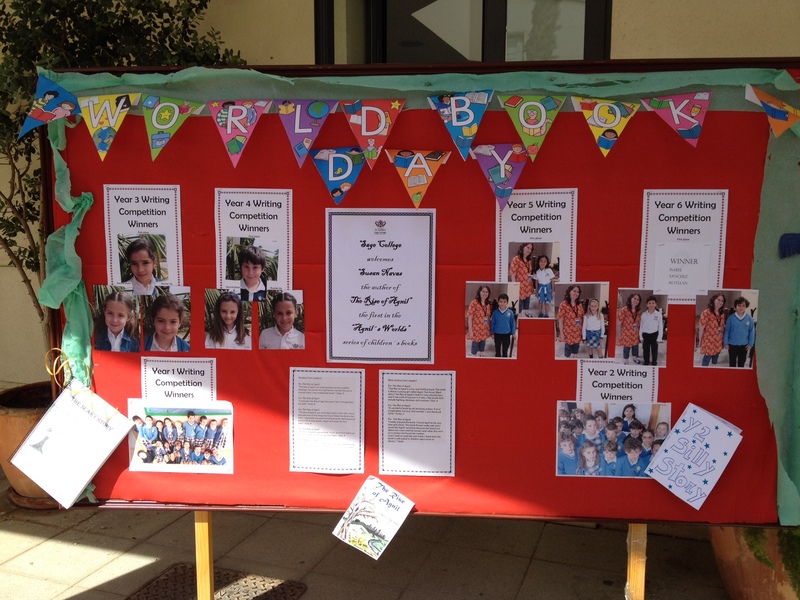 The children were involved in book related activities all day. 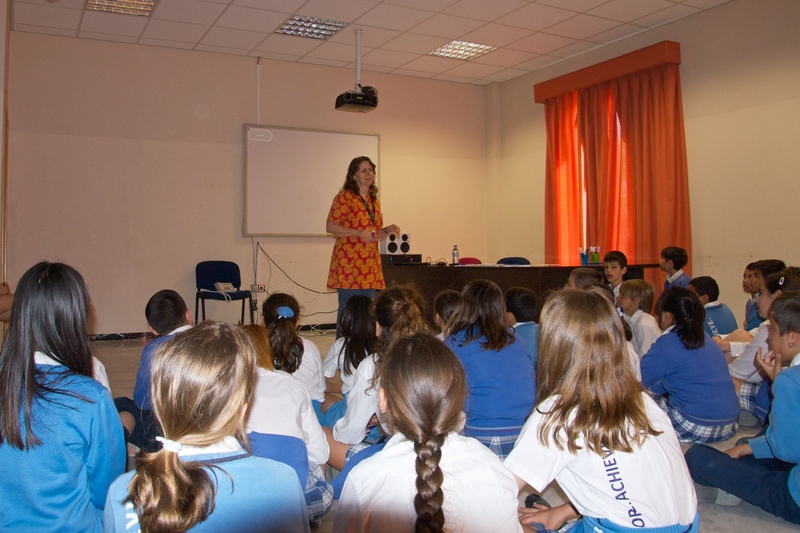 Sage College is a British school with a majority of Spanish pupils being taught in both English and Spanish. 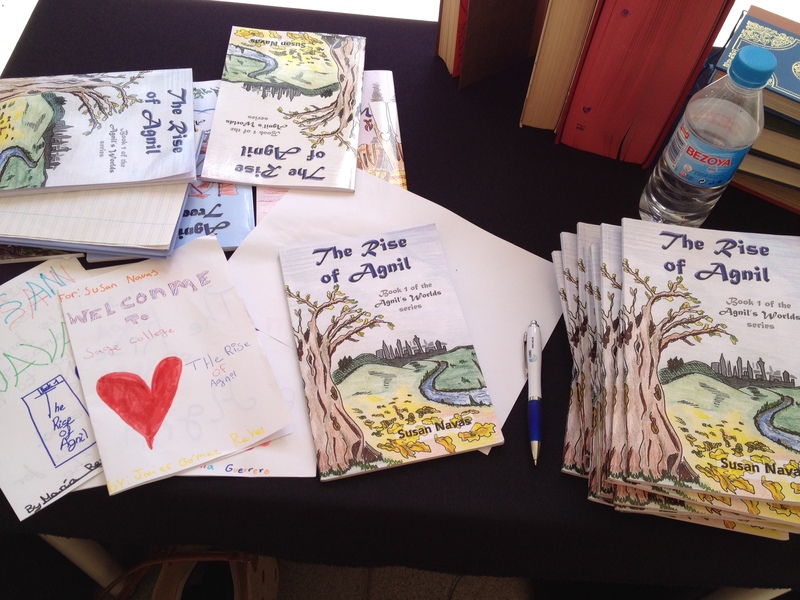 Years 5 and 6 had been reading The Rise of Agnil and all of Key Stage 2 had written fantasy stories for a competition. I had to judge the stories written by upper Key Stage 2. It was quite a challenge as the native English speakers clearly had an advantage both grammatically and with the range of vocabulary that they were confident in using. How could I judge a story written by an English speaker against that written by a child for whom English was not their native tongue? The ‘teacher’ in me discussed things with the ‘author’! I decided I would have to choose the winners based on the story idea and shape as well as effort, and that little spark of indefinable something that caught my eye. All those shortlisted had the dubious pleasure of having their photograph taken with me. 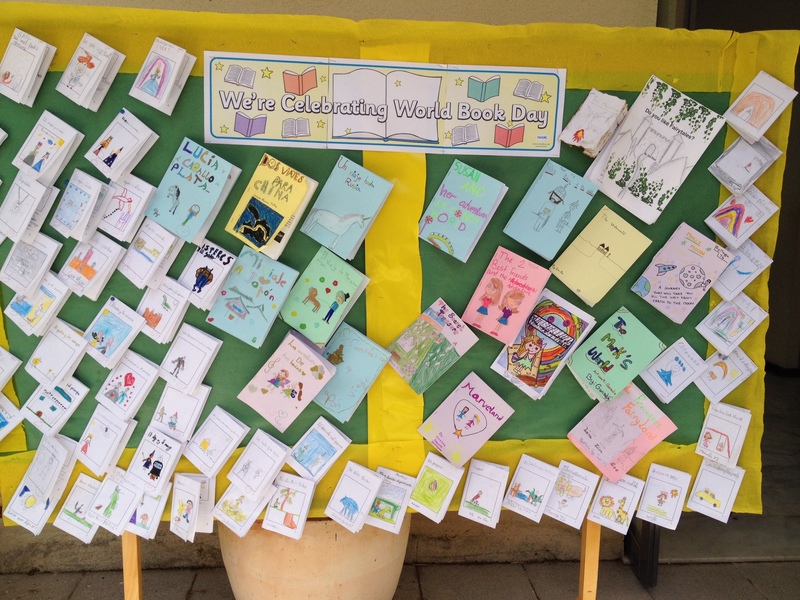 All the stories the children wrote were presented as little books and put on display. 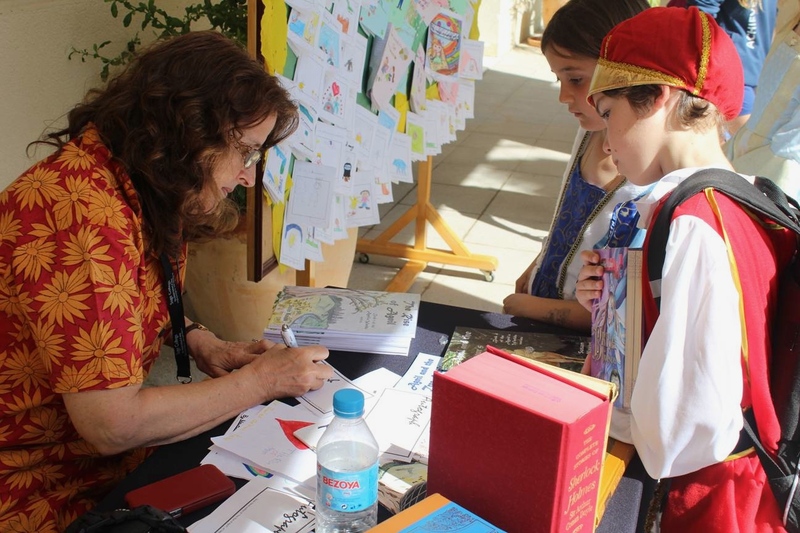 Out of those shortlisted it was even more difficult to choose the winners, but in the end I did and on the afternoon of World Book Day I gave out the prizes – books, of course! My first ‘duty’ in the morning was to lead a workshop on characterisation for the Year 5 & 6 children. They played Character Trait Charades, where each small group was given a character trait which they had to act out for the other children to try and guess the word they had. The complete list was displayed on a slide for them to refer to. They had to use action, behaviour, expression and speech to explain the word, but they couldn’t use the word itself. After the game they created Wanted posters for two ‘criminals’ whose pictures I displayed on another slide. This is a simple activity I would have normally used with younger children in the UK, but it was appropriate on this occasion, given the level of their English. After break the Years 3 & 4 children were brought in and I read them the first chapter of The Rise of Agnil. This was followed by a question and answer session. I was impressed with their confidence in asking really interesting questions, some of which really made me think! 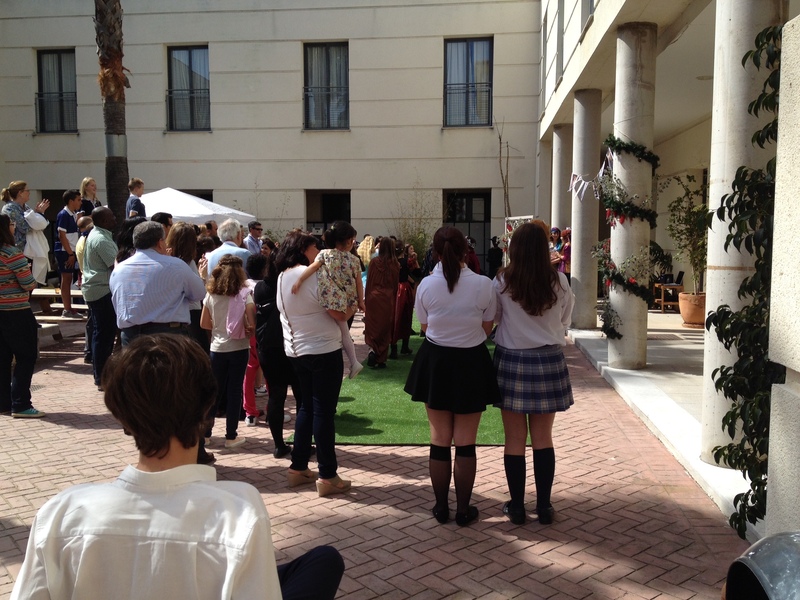 In the afternoon, once the prize-giving was finished, the children were all involved in putting on short plays based on well-known fantasy stories which they performed in front of their parents in the patio of the school. It was incredibly well coordinated and everything ran like clockwork – no mean feat – all credit to the wonderful teachers there that worked so hard to pull the day together. A view of the patio at Sage College. Watching one of the performances. 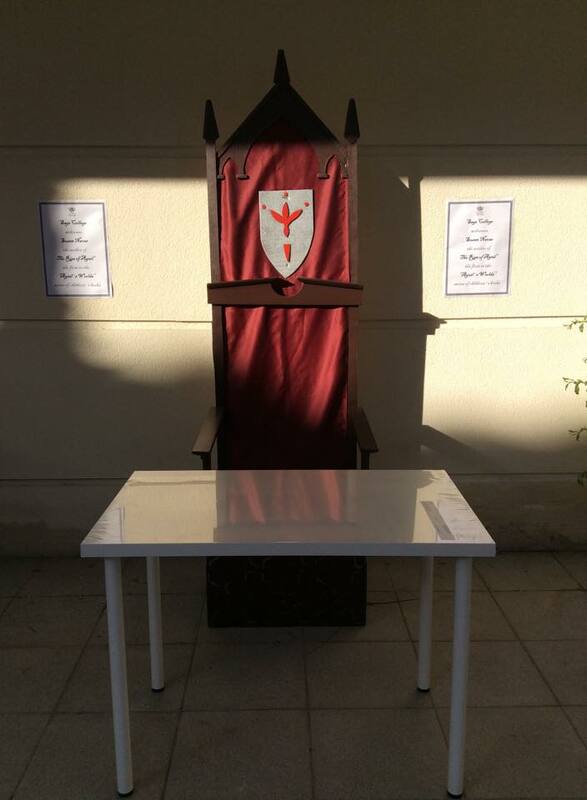 While all this was going on I was left to sit on the throne they’d prepared for me, signing all their copies of my book! My throne for the day! A pile of books to be signed. 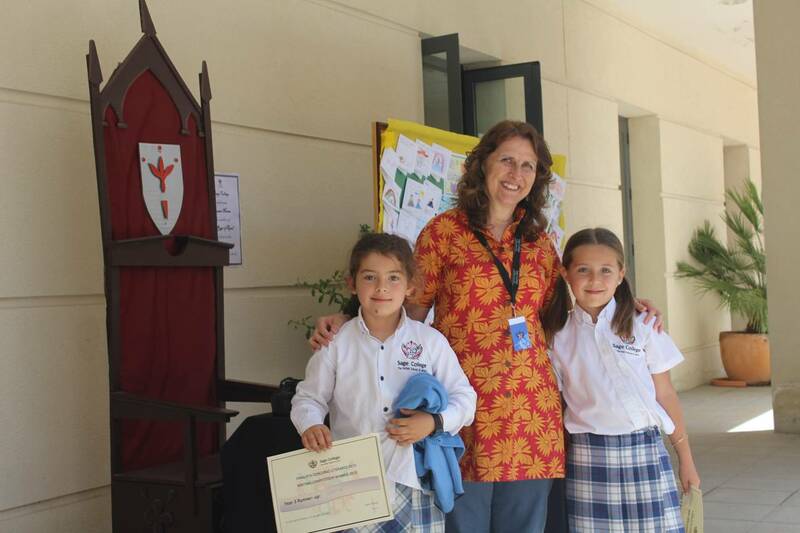 Visiting the school and working with their lovely children was a wonderful experience. I’d like to say a huge thank you to all the staff for making me feel so welcome and special thanks to Emma Bell, the teacher that invited me and organised everything.